Orsara di Puglia is ‘un borgo medioevale incantevole’ (an enchanting medieval village) on the slopes of Monte San Marco in the Dauno Subappenino area at an elevation of 650 m (~2100 ft). 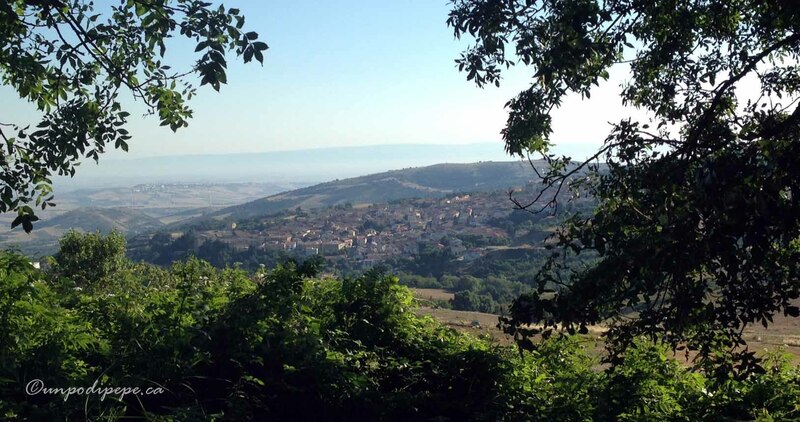 It is surrounded by forests, rolling hills, vineyards, wheat fields and olive groves. 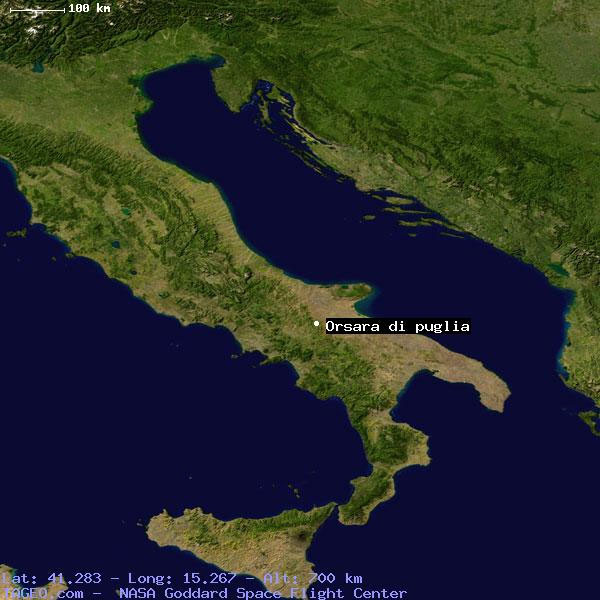 Until 1927, it was in the province of Avellino (Campania) which is why it is called Orsara di Puglia. In 1951, before mass emigration, the population was over 7,000. Today the permanent population is just under 3,000. I spent the first 27 months of my life here, and I return every year for some ‘aria di montagna’ (fresh mountain air). This post is an introduction…the first of many Orsarese posts! Orsara is built on a site with natural caves, which made it favourable for settlement. There is evidence of settlement in the area in the 11th Century BC, and Greek colonization as early as the 8th Century BC. There are many legends about the origins of Orsara, but my favourite-definitely the coolest-is that it was founded by the Greek hero Diomedes, who came to Puglia after the Trojan War. Legend also has it that a bear and her cubs had a lair in one of the caves Orsara was built on. The name comes from the Latin Ursus (bear) and aria= Ursaria meaning a place of bears. 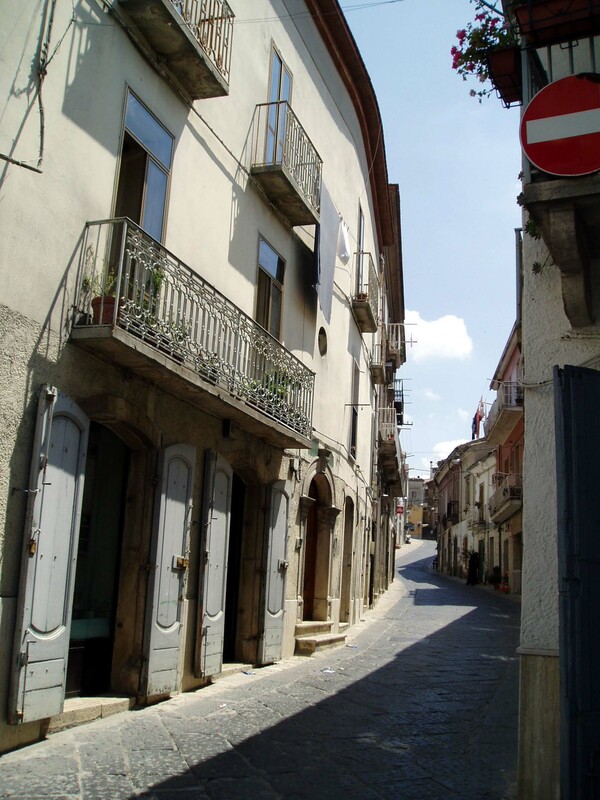 The oldest part of Orsara, the Centro Storico or historic town center, is built around the Complesso Abbaziale dell’Angelo. 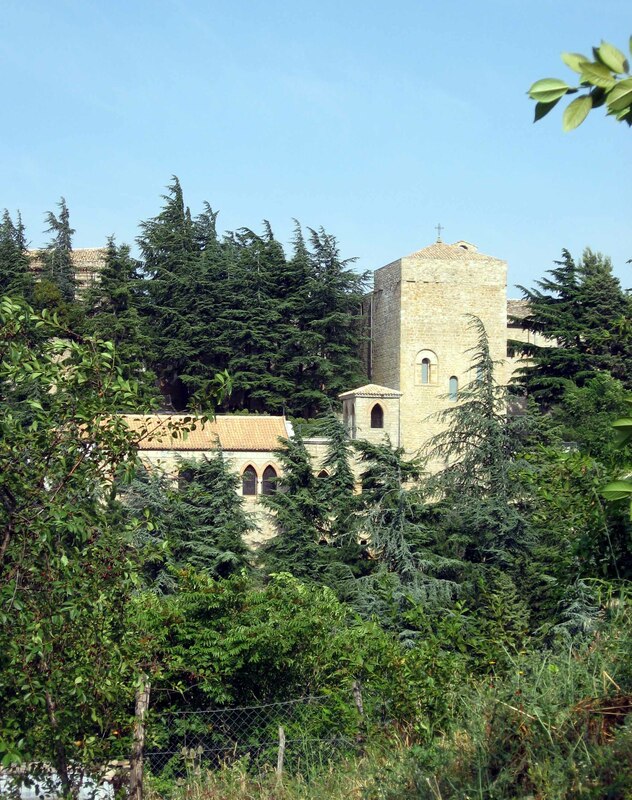 This complex consists of the pre-7th Century cave church Grotta di San Michele Archangelo with a connecting 1527 church, the exquisite Romanesque Chiesa dell’ Annunziata, and Palazzo Baronale. The last 2 were the former Abbazia di Sant’Angelo (Abbey of the Holy Angel), a monastery built in the 11th-13th Century. The Abbazia included a hostel for pilgrims and was home to several orders of monks, incuding the Spanish Cavalieri di Calatrava (Knights of Calatrava) who arrived in 1224. The Calatrava expanded the abbazia, including a hospital, and were an important part of Orsara’s history. Palazzo Baronale is now private homes except for the basement which is an archeological museum. The Complesso Abbaziale has seasonal opening hours, and can also be visited by appointment. Complesso Abbaziale dell’Angelo, seen from Piano Paradiso. The tall, tower-like building is the Chiesa dell’Annunziata. Orsara di Puglia is a member of the Slow Food movement Cittaslow. A gastronomic paradise, Orsara has 8 restaurants, 4 pizzerie, an enoteca, a pub and a cooking school http://www.peppezullo.it. Orsara even has its own designated DOC cheese-cacioricotta, and 3 IGT designated wines. Thanks to the maze of steep, windy cobblestone streets and my morning walk to La Montagna Spaccata, I can eat lots yummy food and still fit into my clothes. 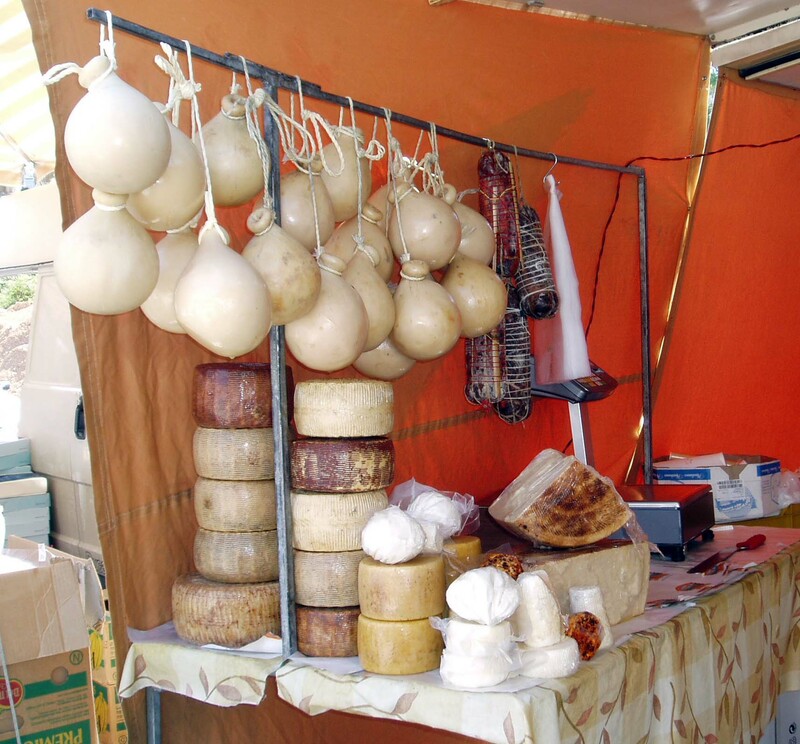 In 2010, along with Alberobello, Orsara became one of only 6 towns in Puglia to be distinguished with a Bandiera Arancione (orange flag), a seal of quality from the Touring Club Italiano. The Club certifies small inland towns that are welcoming to visitors and have historic, cultural and environmental significance. For more information http://www.paesiarancioni.net (in Italiano) and http://www.bestsmalltownsitaly.com/town/orsara-di-puglia-apulia-south-islands/ (in English). There are now 13 paesi Pugliesi with a Bandiera Arancione designation. Since 1988, Orsara hosts a Festa del Vino the last weekend in June. The Orsara Musica Jazz Festival and Orsara International Jazz Workshop are held the last week in July. Orsara has 2 patron saints and protectors; Aug 5th is the Festa della Madonna della Neve, and Sept 29th the Festa di San Michele Arcangelo. The night between Nov 1st and Nov 2nd is the Festa dei Fucacoste e Cocce Priatorije, an ancient tradition to honour the dead. For more information on events, check Orsara di Puglia’s official website and blog. Cristina, che bellezza! This is a beautiful blog, auguri and I look forward to following you! Your hometown is enchanting, and your photography is superb! Congratulations on winning 2nd prize in the competition and keep posting! Grazie Ralph. 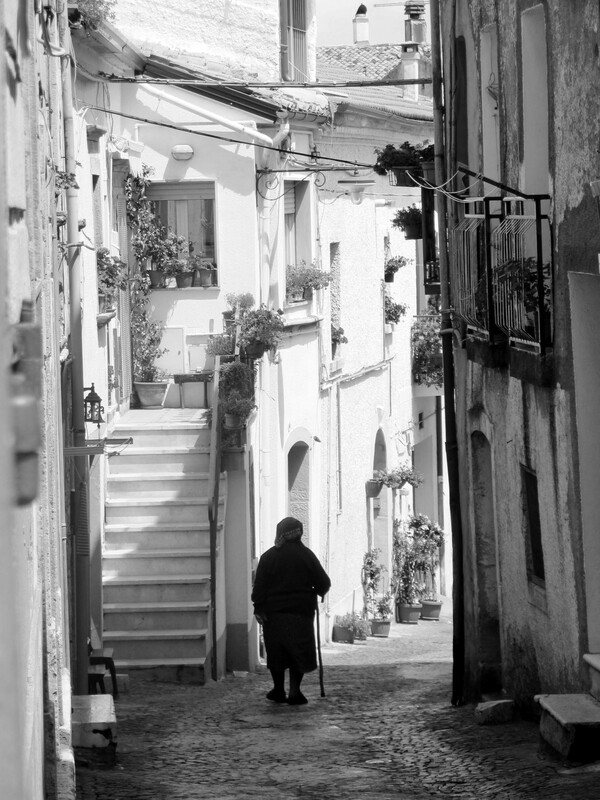 Is your family from Orsara di Puglia? Sciarappa is definitely an Orsarese name. I wonder if you’ve ever seen the YouTube channel called Orsara Cooking? The star of the show is an older gentleman from Orsara named Pasquale, who now lives in the States but is obviously still 100% pugliese. I love watching the videos, less for the recipes—most of which will already be familiar to those who know Italian food—than for Pasquale, with his sunny personality and *strong* accent, reminds me so much of my own grandparents. It never fails to put a smile on my face. I have seen Pasquale Sciarappa’s YouTube videos about Orsara di Puglia. I don’t know him personally, but in Episode V, he visits my good friend, il ‘Cuoco Contadino’ Peppe Zullo! Pasquale is quite animated to watch! I wish I had found your blog before my recent trip to Orsara di Puglia with my daughter (May 2016). 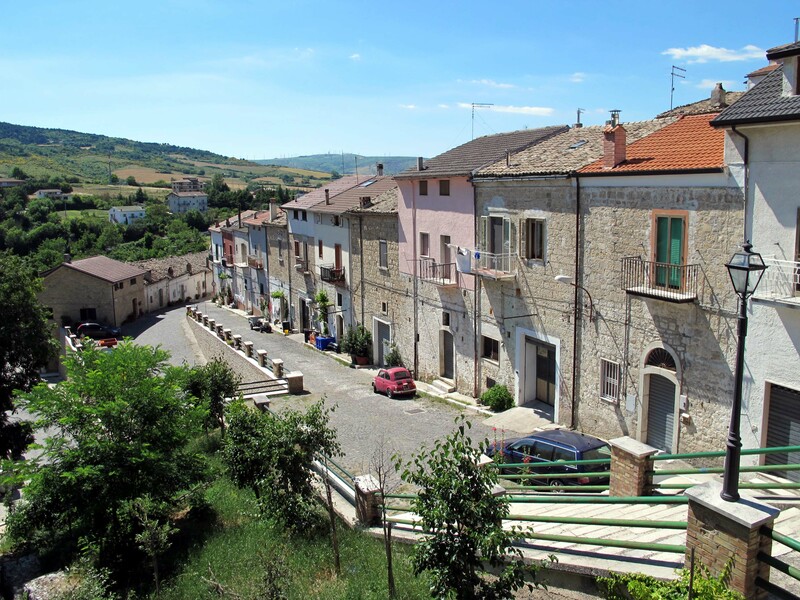 We only had a couple of days to be there, and – as luck would have it – we stayed at Peppe Zullo’s b&b. He and his staff were gracious hosts, taking good care of us during our brief visit. They even arranged for several people to help us with locating some church records for three generations of my family lineage! We had a lovely time in Orsara, but it was too short. I hope to return soon. I’d like to do more research for my family tree, do some mountain hiking, and attend Peppe’s cooking school. Your blog is great, please keep up the good work! Would love to meet the Acquavivas in Orsara! Family surnames also include Cerrato, Accettullo, Rutigliano, and possibly Tozzi. My bisnonna’s name was Filomena Cerrato. Peppe showed us a beautiful carved wood bar he salvaged from Pasquale Cerrato’s establishment when it went out of business awhile ago. The bar has a brass plaque on it, “Cerrato Bar 1929”. We posed for a photo at the bar which Peppe was kind enough to take of us. Pasquale may have been my great-grand uncle (possibly Filomena’s brother). Definitely have more research to do! I cannot go back to Italy this year, but hope to return in the not-too-distant future. Will be sure to check out your other posts, and to touch base when I have a better idea of when I’ll be going back.